The bar promises an eclectic mix of DJs, live bands, and strong drinks. Matt Shapiro said he can have more fun with the booking in Oakland. After the Night Light closed abruptly in September, there was uncertainty about what would happen to the Jack London district space. Opened in 2012, the bar hosted regular DJ nights and live bands, becoming a hub for local nightlife. 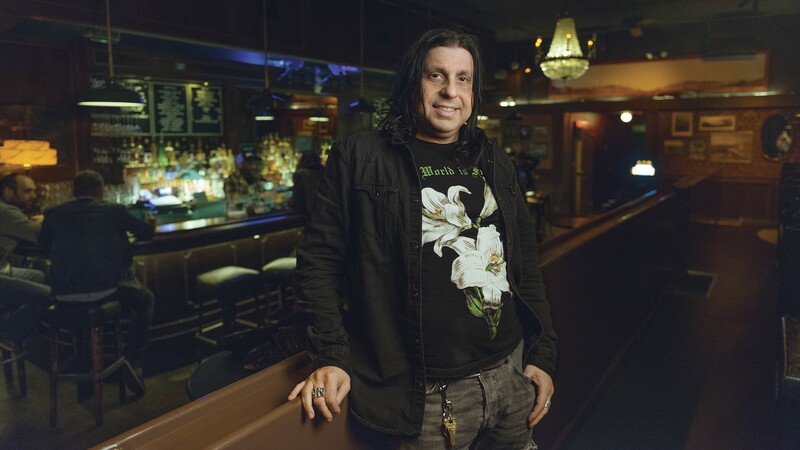 Then, the owners of the Elbo Room, a live-music institution in San Francisco, bought the business and began remodeling it — a promising development. Elbo Room Jack London (311 Broadway) quietly opened its doors on March 1. Although the venue has only been open for about a month, owners Matt Shapiro and Erick Cantu said their vision for the new space is coming together. "The response has been good," said Shapiro. "We've been keeping it low-key. We didn't do a lot of press at the beginning. We were trying to figure out the kinks first." Those who enjoyed live music at The Night Light will be happy to know that Shapiro and Cantu are booking an eclectic mix of bands at Elbo Room Jack London as well. Also, expect a variety of DJs in the downstairs bar, but in a new, discreet location: The DJ booth has been moved to the front of the bar, near the entrance. The upstairs space where bands played remains fairly the same, however, the downstairs has undergone slight changes: In addition to the relocated DJ booth, there's also a new seating arrangement, which will feel familiar to fans of the Elbo Room in San Francisco: raised-up wood benches. Along with minimally lighted ambience, the bar also has a new and improved photo booth. Another welcome change to the bar is a brand-new cocktail list, curated by Cantu. There's also a selection of six local brews from Harmonic Brewing, Trumer, Drake's, Moonlight, and Bear Republic Brewery. Over the years, bars and music venues have struggled to keep open in the Jack London district: Kimball's Carnival, Vitus, the Night Light, and, more recently, Overland are some of the places that have closed. Still, Shapiro and Cantu are optimistic about the neighborhood. "I really like the neighborhood a lot, we're literally and figuratively right between Merchant's [Saloon] and the Fat Lady, and that's great," Shapiro said. "People are stoked to play in Oakland. There's a lot of enthusiasm." Opening a venue in Oakland was not, in fact, their original plan. Instead, the duo had been looking for a space in San Francisco to move to once their lease at their current address is up. (The building is slated to be demolished to make way for new housing.) Shapiro said that, as of now, the Mission district venue will remain open until January 2019, and perhaps beyond. "I have a feeling we'll be there longer, but I don't know for sure," Shapiro said. But now that they are in Oakland, Shapiro and Cantu are putting in the effort to make it a success. Cantu runs the day-to-day operations, while Shapiro is in charge of the booking, and they're both as heavily involved in the new location as they are in San Francisco. They currently have a staff of ten, and Shapiro expects to hire additional staff as the crowds increase. As for the vision of the space, Shapiro said to expect "a smaller scale but more vibrant vision of SF," he said. "Eclectic, keep it more interesting." With the East Bay being more welcoming to different kinds of music, "I can have more fun with the booking," he said.